STANDARD SIZED ZINES (8.5″X11″ Folded in half) Formatted for double sided pages. Print, fold, staple! Blood Orange Infoshop – This is a brief introduction of the all volunteer collective space that focuses on art, music, and education. 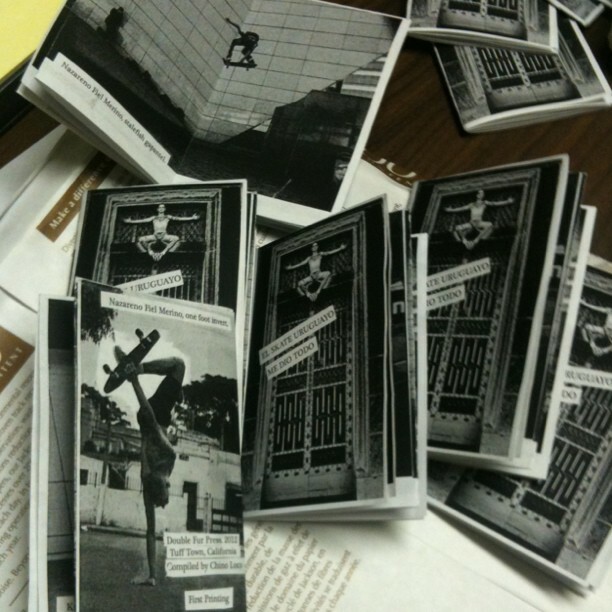 Staple-less zines in PDF form. You may find instructions here and here for folding instructions. Nonchalantism – A young kid’s experience, stuck in a hotel room. Story by Angry Sleeper, compiled with Ellie R. U. Hokay. I’m at a Marxist Convention at a University in Seoul… – Story by the Unknown Traveler, compiled with Open Ears. El Skate Uruguayo Me Dio Todo – Skate photos from Naz’s collection. Various photographers. Compiled by Chino Loco.